The unique specialized project contributing to a comprehensive solution to the energy sector problems in the industry and utilities, infrastructure development areas, energy and environmental security. The leading industry event in the region, demonstrating the scientific - technical developments and achievements in the field of energy saving, innovative solutions for the energy sector, and modern and effective energy complex technology. 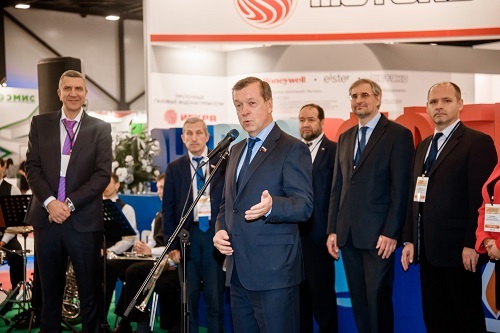 The leading Russian and foreign companies presenting ready solutions in the field of energy efficiency, saving resources and extending the life of equipment. At the same time with Specialized Exhibition Energy Saving. Power Efficiency. Innovative Technologies and Equipment are held 23th International Specialized Exhibition of Natural Gas Industry and Technology for Gas Facility «ROS-GAS-EXPO», BOILERS AND BURNERS. The Exhibition Energy Saving. Power Efficiency. Innovative Technologies and Equipment – a meeting place of different industries’ professionals. We welcome all the stakeholders wishing to develop its businesses to take part in the exhibition!